We draw on our enterprise CFO skills to deliver the right solutions and targeted value. Our business finance solutions resolve a broad spectrum of business challenges faced by executives. Each executive’s requirements and goals will be different, and yet all executives share a need to bring in the financial and operational expertise needed to resolve their challenges and deliver targeted value. That’s where we come in. As former enterprise CFOs and providers of authoritative, high-caliber expertise, we have the capabilities needed to move challenges to resolutions that realize desired value. 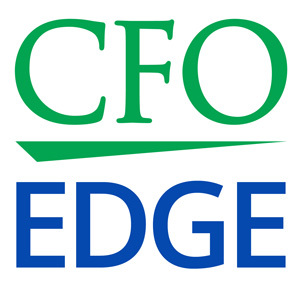 Every week since our firm was established in 2010, a CFO Edge partner has written an authoritative article on a business challenge; its impact if not resolved; options for business finance solutions; and value outcomes. We are pleased to offer over 360 articles on our financial and operational performance solutions. In the following solution grid, you can click on a green group heading in the first column to view related articles. Like a tech company stack diagram, business finance solutions at any level are dependent on optimized layers below them. Our solutions grid can be viewed as a multi-element roadmap from core accounting and reporting solutions all the way to strategic planning and transactions. To realize full value from any solution at any level, all components that contribute to that solution must operate correctly. The scale, scope and depth of our experiences equip us to know and successfully address all linked elements. Our solutions grid can also be viewed as a menu of one-time projects. In addition to delivering all business finance solutions as part-time CFOs and interim CFO, we team with clients as project CFOs to group solutions into a bundle focused on one goal. In this illustration, a client wants to raise capital to fund growth. Our cash flow analysis requires restatements and updated forecasting so the financial model is accurate and current. The statements and financial model are then used in a financing presentation to obtain a loan or investments. We apply a recognizably better way to develop and deploy business finance solutions. All financial and operational performance solutions are not created equal. All too often, an easier and less comprehensive approach is put into play. By contrast, we leverage our expertise to apply eight leading-edge benchmarks to ensure that solutions are done correctly, are cost effective, deliver their full potential value upon completion and are ready to meet evolving needs. Solutions are designed to support better management decision making. Solution reporting is clear, easy to understand and actionable. Built-in flexibility supports cost-effective enhancements and expansion. We apply best practices to develop the right solutions. We are mindful of interconnected elements and potential future factors. We apply proven processes to accelerate development and reduce costs. We look for opportunities to leverage solutions to enhance their value. We convey the know-how to operate and benefit from the solution. With application of our eight benchmarks, our business finance solutions benefit from a kaleidoscopic effect. When applied during development, our eight benchmarks act like reflecting panes inside a kaleidoscope. Our know-how in shaping and leveraging these interactions both enhances the solution’s final form and improves outcomes. The result: you and your company are empowered with a solution that is more cost effective, achieves faster time-to-value and delivers on its full potential value.